Successfully saved Creamy Sun-Dried Tomato Zoodles to your Calendar. You can also save the ingredients to your Grocery List. 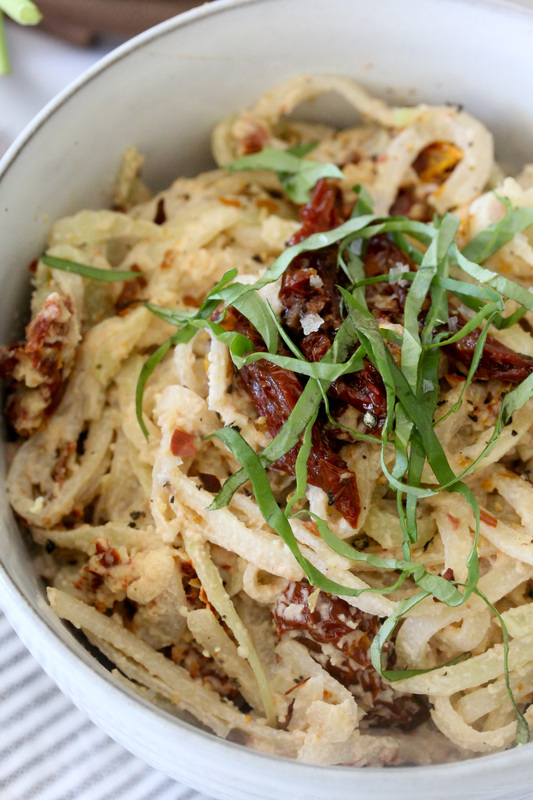 This Creamy Sun-Dried Tomato Noodle recipe from The Whole Smiths uses kohlrabi noodles and will knock your socks off! It's paleo, Whole30 and dairy-free.